Well, it’s finally the end of the week, and I’m bushed! I was supposed to go to a gig tonight some friends are playing but I’m just too tired. Tomorrow, I’ll be out in the garden again and cooking a family dinner – my son’s coming over. 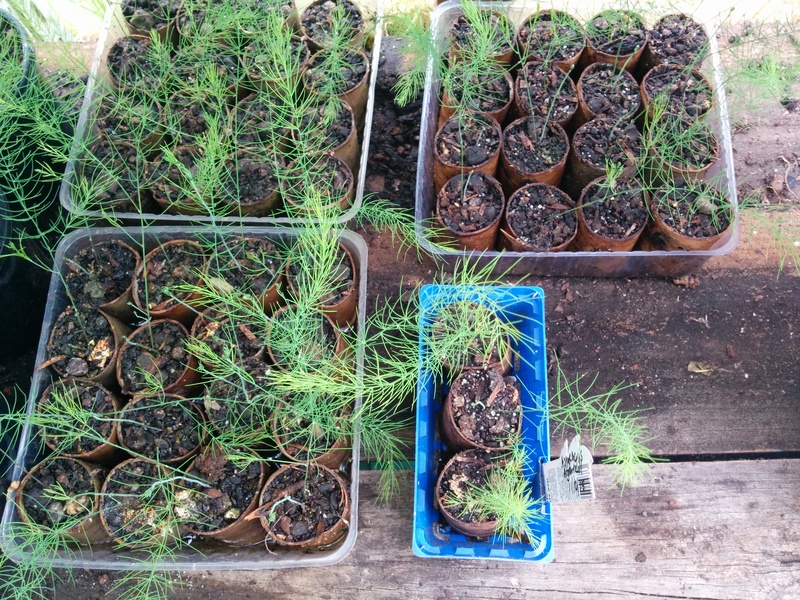 One of my jobs tomorrow is dealing with some of the seedlings I’ve grown in the last month. I love sitting in my greenhouse, listening to music or audio books while I work. It’s very relaxing. 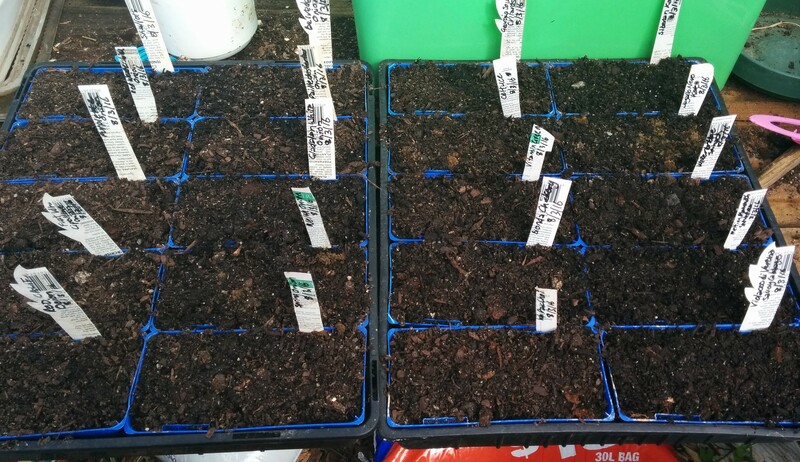 With small seeds, such as chillies, herbs, salad greens and any brassicas (cabbage family, such as kale, broccoli and mustard greens) I use a three stage process. 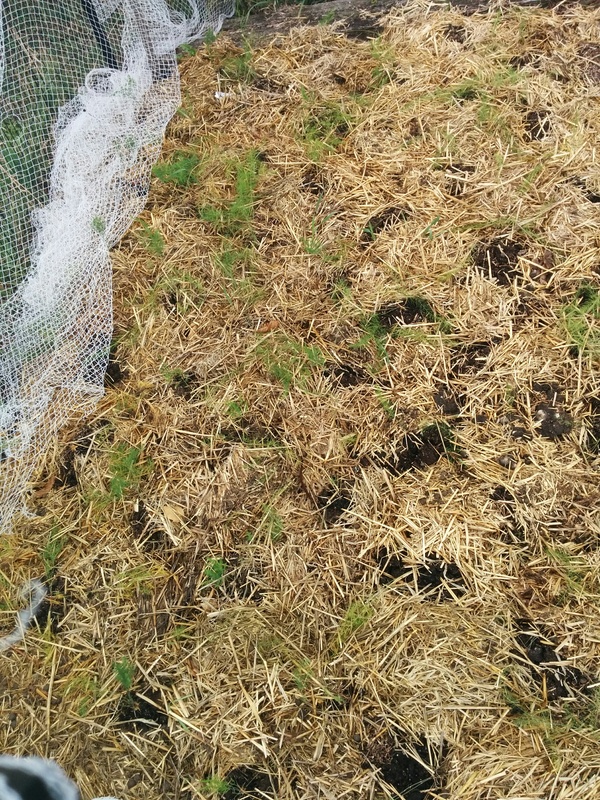 Secondly, I prick them out from the punnets into cardboard toilet rolls and let them grow on in the greenhouse until the roots are showing, which encourages downward root growth and eliminates transplant shock – one of the biggest killers of young seedlings. I didn’t realise until recently that this isn’t common knowledge! 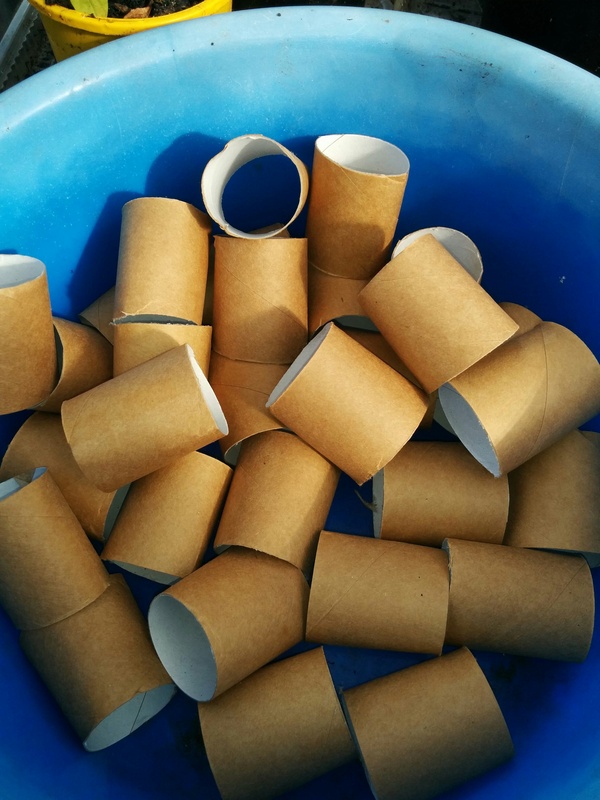 I cut the rolls in half first, which makes a perfect size for me and it doubles the number of mini grow tubes I have for the season. 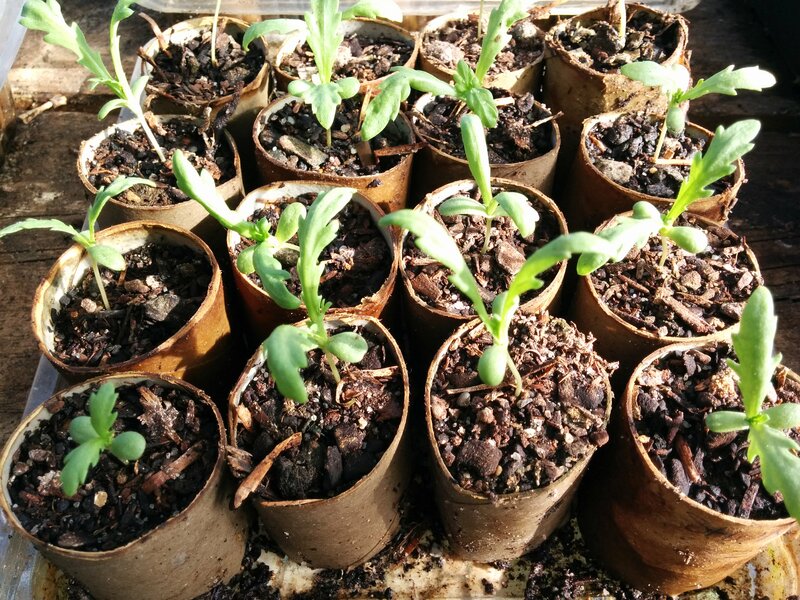 I’ve found that plastic trays from my few supermarket purchases are great to put the completed seedling tubes in, making them safe to carry around the greenhouse and the yard. All recycled and ready to go! The cardboard is just the right thickness to take up and hold moisture without falling apart immediately and I use a fairly compost-rich potting mix that holds together reasonably well. Like a lot of repetitive jobs, there’s a rhythm I get into when doing this. Perhaps it’s the musician taking over but I find this really relaxing. 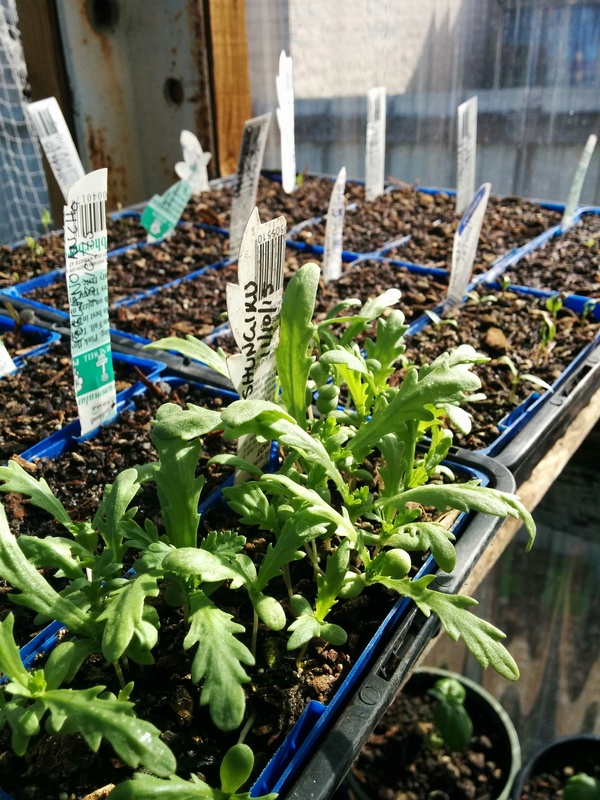 It takes practice when doing small, delicate seedlings but the best tip I can offer is go slowly – there’s no rush. Also, keep a permanent marker handy and I recommend marking the plant name and date on at least one if you’re doing a tray of the same thing. I also keep a garden journal next to me and write down what I’ve done in case something happens to obscure my one labelled tube. 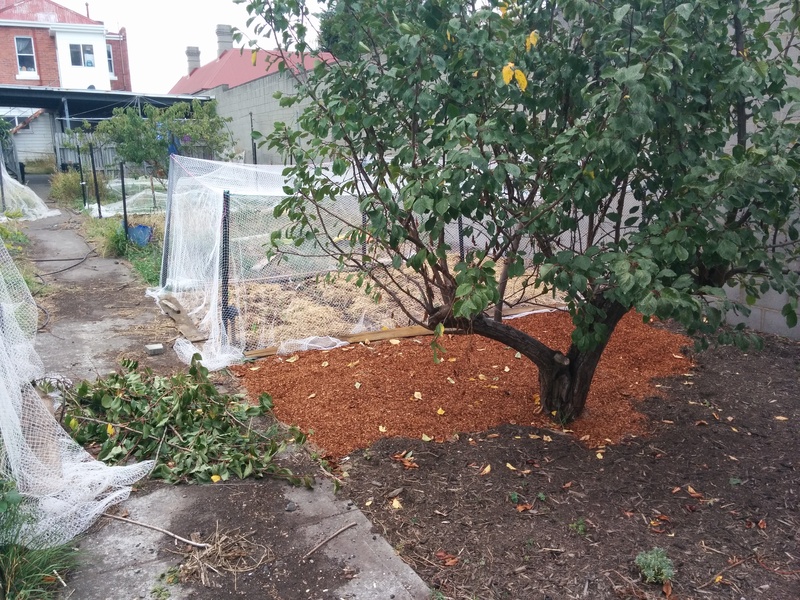 A few days before I want to plant them, I take the trays of rolls out and let them harden off under a tree. 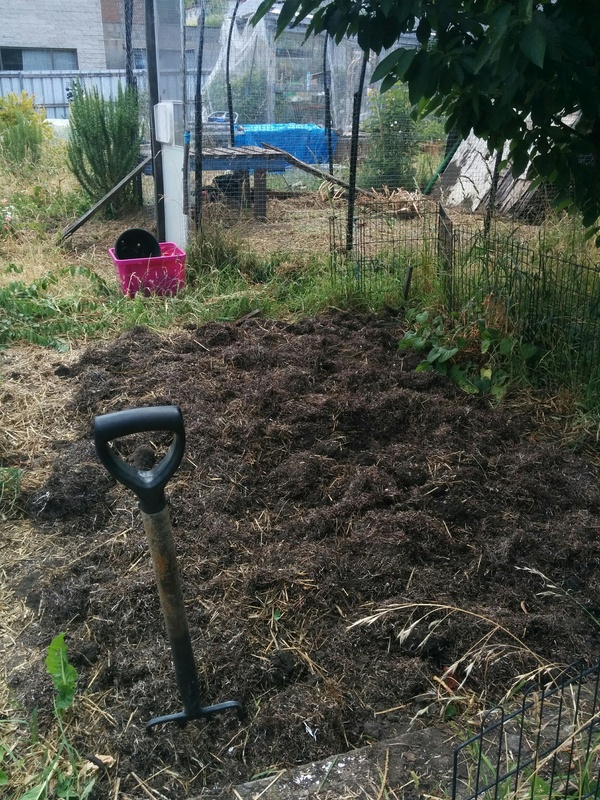 The final stage is planting the seedlings still in their roll in the garden bed. With big seeds like corn, beans, peas, pumpkins and zucchini I mark the first roll and loosely pack however many I need in a tray. Then I use a pencil or stick as a dibbler and put the seeds in and cover them. 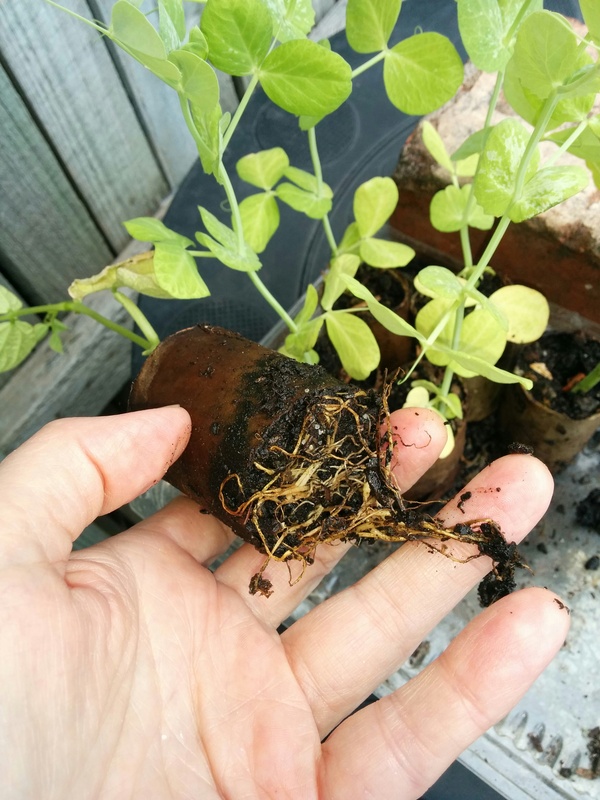 The snow peas and beans in the photograph below will give you some idea of the wonderful root growth and size of the plants.